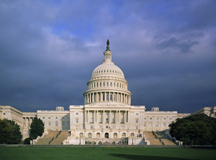 SENATORS REQUEST STAKEHOLDER INPUT ON TRANSPARENCY: Senate Finance Committee Chairman Ron Wyden (D-OR) and Senator Charles Grassley (R-IA) sent a joint letter to provider stakeholders last week, requesting feedback on enhancing the availability of health care data. The Senators said in their letter that while great strides have been made by federal and state entities to increase transparency and utilize health data more efficiently, that more still can be done to reach its full potential. Health providers, including physicians, are encouraged to provide comments, as the two Senators would like physicians to play a greater role in the process. Comments are due on August 12, 2014. For more information, please click here. LOUISIANA PASSES LAW TO CLOSE ACA GRACE PERIOD LOOPHOLE: Louisiana became one of the first states to pass a bill into law last month that requires insurance companies to address the Affordable Care Act’s (ACA) “grace period” loophole. The bill, HB 506, requires that “if the qualified health plan issuer informs the physician or other health care provider or his representative that the enrollee is eligible for services but not that the enrollee is in the grace period, the determination shall be binding on the qualified health plan issuer, and it shall pay the claims for covered services.” Currently, qualifying health plans in an exchange must offer a three-month grace period to enrollees who receive advance payments for premium tax credit. If an enrollee receives services from a provider, but fails to make a payment for the second or third month during that period, insurance companies are not required to notify providers of a missed payment, leaving providers to incur the cost of services provided. SENATE CONFIRMS BURWELL AS NEXT HHS SECRETARY: Last week, the U.S. Senate voted overwhelmingly (78-17) to confirm Sylvia Mathews Burwell as the next Secretary of the Department and Health and Human Services. Despite their grievances over the Affordable Care Act (ACA), Senate Republicans said that their support for Burwell is a result of her acknowledgement of what is wrong with the ACA and her pledge to respond to Congressional inquiries in a timely manner. BI-PARTISAN HEALTH BILL EMERGES FROM VA SCANDAL: Senators John McCain (R-AZ) and Bernie Sanders (I-VT) reached a deal this week on legislation that addresses long wait times and would recruit more medical professionals to VA hospitals. The Veteran Access to Care Act (H.R. 4810) would provide an additional $500 million to the VA program, which would be used to hire more doctors and nurses, open more region VA hospitals, and allow veterans experiencing wait times greater than 14 days OR living more than 40 miles away from a VA facility, to be seen by outside providers. Currently, the VA has a shortage of 400 physicians and the bill would incentivize physician participation by offering doctors and nurses a one-time bonus for joining the VA. A section-by-section summary of the bill can be found here. REPORT SAYS SURGEONS “MISSING” FROM ACOs: A recent study released by Health Affairs says that low surgeon participation rates in accountable care organizations (ACOs) is attributable to little devotion by program administrators to include surgeons into the models. The report finds instead that ACOs are generally geared toward primary care physicians and those who treat patients with chronic care conditions, such as diabetes. While the demand for a high quality, low cost alternative payment system is widespread among many Members of Congress, the study adds to the claims made by NASS and other specialty societies that – at least for now – ACOs are simply not are an appropriate alternative payment model for all spine care providers. GAO SAYS SELF-REFERRAL FOR PHYSICAL THERAPY DOWN: Last week, the Government Accountability Office (GAO) released a report on self-referrals related to physical therapy (PT). The report was generally positive, as it found that from 2004 to 2010, non-self-referred PT services increased at a faster rate than self-referred PT services. NASS has been tracking this issue over concerns about the efforts to eliminate the in-office ancillary services exception (IOASE) to the Stark Law on the federal/state levels. The full report can be accessed here. GAO ANNOUNCES NEW MEDPAC MEMBERS:On May 29, the GAO announced the appointment of three new members to the Medicare Payment Advisory Commission (MedPAC). The appointed members are Kathy Buto, MPA; Francis “Jay” Crosson, MD, Group Vice President, American Medical Association in Chicago, Illinois; and Warner Thomas, MBA, President and CEO of the Ochsner Health System in New Orleans, Louisiana. MedPAC advises Congress on payments to providers in Medicare’s traditional fee-for-service programs. SGR UPDATE: During a Senate Finance committee confirmation hearing last week, Sylvia Mathews Burwell, the President’s nominee for Secretary of the Department of Health and Human Services (HHS), said she is looking forward to working with the committee to permanently repeal the sustainable growth rate formula (SGR). Burwell, who is expected to be confirmed, said she was excited for the prospects of repeal this year and cited the bipartisan legislation that was previously passed by the key health care committees in Congress. While Congressional efforts to repeal the SGR are at a virtual standstill, sources inform NASS that House leadership is still optimistic that a deal can be made during Congress’ lame duck session. Other sources have indicated that key Republican Senators have been meeting with House Republican leadership to discuss the prospects of using Overseas Contingency Operation Funds (OCO) as a viable option to pay for SGR repeal. NASS will continue to provide any updates on new developments as they become available. BIOSIMILAR BILL HEADS TO DE GOVERNORS DESK: Last week, the Delaware state legislature passed Senate Substitute 1 for SB 118, which requires pharmacists to notify treating physicians if another version of a biologic medicine is being substituted for the version prescribed by the doctor. NASS joined the Alliance of Specialty Medicine (The Alliance) in sending a letter of support for this legislation to the Delaware general assembly, stating that the bill will help ensure proper patient care. The Alliance will send a letter urging Delaware’s Governor to sign the bill into law. ALLIANCE CONTINUES TO PRESS CONGRESS ON SGR REFORM: NASS joined the Alliance of Specialty Medicine (the Alliance) in sending a letter urging congressional leaders to pass meaningful legislation to repeal Medicare’s flawed Sustainable Growth Rate (SGR) formula this year. A copy of the letter can be found here. As for the prospects of passing a bill this year, some members of Congress are more optimistic than others, while many say that the outcome of this November’s elections makes it a toss up. NASS continues to work with its partners in Congress to enact SGR reform and will continue to report on any developments as they become available. SENATORS PRAISE PRESIDENT’S NOMINATION FOR SECRETARY OF HHS: Last week, the Senate Health, Education, Labor & Pensions (HELP) committee, held a confirmation hearing for Sylvia Mathews Burwell, who was nominated by the White House to replace Kathleen Sebelius as the next Secretary of the Department of Health and Human Services (HHS). Though she faced tough questions about how she would oversee the continued roll out of the Affordable Care Act (ACA), Burwell has earned the support of some prominent Republican Senators and is expected to be confirmed. When asked about the ACA’s controversial Independent Payment Advisory Board (IPAB), Burwell said that she neither wanted nor expected the board to be realized during her tenure. Burwell attended another confirmation hearing before the Senate Finance committee earlier this week. SENATORS PROBE FDA ON DRAFT GUIDIANCE: Four Republican members of the Senate HELP committee sent a letter to the U.S. Food and Drug Administration (FDA) recently expressing their concern with the agency’s apparent practice of using draft guidance to make substantive policy changes. The letter, addressed to FDA Commission Margaret Hamburg, made references to several instances in which the FDA was using draft guidance as actual “guidance” rather than as a way to solicit stakeholder feedback. The Senators included a request for feedback on a number of issues and are currently awaiting a response from the FDA. HOUSE COMMITTEE RELEASES SECOND WHITE PAPER ON HEALTH INNOVATION: On May 12, the House Energy and Commerce committee announced the release of a second white paper in its 21st Century Cures initiative. The committee’s paper takes a look at the recommendations made within the President’s Council of Advisors on Science and Technology 2012 Report on Propelling Innovation, and requests stakeholder feedback on accomplishing these goals. The Energy and Commerce Subcommittee on Health will also be conducting a hearing on the Council’s report on May 20. Details about the 21st Century Cure initiative and the upcoming hearing can be found here. HOUSE TO VOTE ON SGR BILL CONTAINING ACA OFFSETS: As it has been widely reported, Republican leadership has indicated that the House of Representatives will vote on a sustainable growth rate (SGR) replacement bill later this week that will contain offsets by delaying for several years, the Affordable Care Act’s individual mandate. Unfortunately, a bill containing offsets provided by a core tenet of the ACA will all but certainly be refuted by Congressional Democrats and the Administration. It’s believed that the House proposal to delay the individual mandate will free up the subsidies that the federal government would have given to low-income purchasers of health insurance through the ACA exchanges. NASS will be submitting a letter of support for the SGR legislation, however, will also highlight NASS’ concerns over using partisan offsets for the bill. NASS will be keeping a very close watch on any developments and provide updates as they become available. DOC CAUCUS WEIGHS IN ON PENDING SGR VOTE: The House Republican Doctors Caucus sent a “dear colleague” letter to their House counterparts today expressing slight dismay over the use of ACA funding to pay for the SGR bill. However, caucus members are still encouraging House members to vote affirmatively on the bill to keep the process moving forward. ANTI-TRUST LEGISLATION RE-INTRODUCED IN HOUSE: On February 25th, Congressman John Conyers, Jr. (D-MI) and Congressman Dan Benishek, M.D. (R-MI) introduced H.R. 4077, the “Quality Health Care Coalition Act of 2014.” According to Rep. Conyers, this legislation allows for physicians to negotiate with insurers on a level playing field, ensuring heightened quality standards for patient care. NASS has supported previous iterations of this legislation and is reviewing the current proposal for support. CBO SCORES LATEST SGR COMPROMISE BILL: The Congressional Budget Office (CBO) sent a letter to newly appointed Senate Finance Committee Chairman Ron Wyden (D-OR) last week with the agency’s 11-year cost estimate of the latest sustainable growth rate (SGR) replacement legislation. It’s not clear exactly why the CBO scored the bill over an 11-year period, since the agency is known to typically score bills over a 10-year period. However, the CBO set their cost estimate at around $138 billion. The estimate does not account for Medicare “extenders” policies (around $30 billion), which had been a sticking point for Senate Democrats during the negotiations before agreeing to sign-off on the latest deal. A significant portion of the cost of the bill is a result of the inclusion of a provision that provides a 0.5 percent update for physicians over five years. DOCTORS CAUCUS SIGNS-OFF ON SGR LEGISLATON: Just as the CBO was releasing their new numbers on the SGR replacement policy, the House Republican Doctors Caucus was meeting to galvanize unanimous agreement to support the SGR bill from its members. A few members of the caucus had not pledged their support for the bill, sighting lack of identifiable offsets and concerns with the duration of the period of stability. The Doctors Caucus letter was sent to House leaders of both political parties, and is being heralded as a major achievement in the progress toward reforming Medicare’s physicians pay formula. Right now, physicians all across the country are doing their part by participating in a National Day of Action to Repeal the SGR and are urging their senators and representatives to enact a permanent solution to the sustainable growth rate (SGR) this year. As a spine care provider, you understand that the annual threat of deep cuts to reimbursements as a result of the flawed SGR formula jeopardizes the viability of your practice and your ability to continue to provide patient access to high quality specialty services. That’s why NASS is encouraging ALL spine care providers to join their colleagues in this day of action by contacting your senators and representatives today and ask them to support H.R. 4015 and S. 2000. TO SEND A LETTER to your senators and representatives, please CLICK HERE and follow the instructions on the next page. TO CALL your senators and representatives, simply pick up the phone and dial 1-866-899-4088. From there, you will receive simple instructions to contact your representatives. NASS members please use 5656 as your access code and then enter your zip code (home or work). As a physician and constituent, I urge you to cosponsor and pass the “SGR Repeal and Medicare Provider Payment Modernization Act” (H.R. 4015/S. 2000). If Congress does not act, physicians face a cut of nearly 25%. A permanent solution, not another short term fix, is needed. Many of your constituents, and my patients, could lose their access to specialty care if this problem is not addressed. Congress’ repeated failure to fix the flawed Medicare formula for updating physician payments will once again trigger a massive cut in Medicare physician reimbursement. Congress has passed a series of short-term patches over the years that have made the situation worse. Physicians face a nearly 25% cut on April 1st and the time for Congress to act is NOW!